Exact Synergy provides access to all of your vital business processes in one application. By storing and updating all information related to clients, finance and the workforce within one central place, everyone can work with the same up-to-date data. 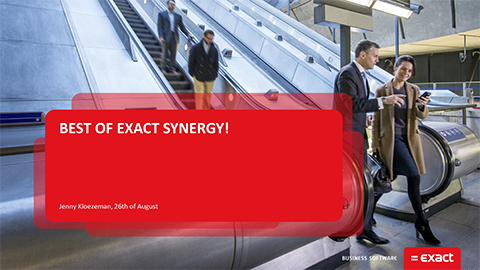 With Exact Synergy, you can benefit from a total solution that centrally manages your data streams. All information is within reach for everyone, at any time.